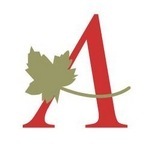 Algonquin Careers Academy, located in Mississauga, ON, is a private career college offering career training diploma, certificate and continuing education programs that include: Business Programs, Health Care Programs, Travel Programs. and Law Programs. Algonquin has two campuses, Ottawa and Mississauga. Their friendly environment and small class sizes make adults feel comfortable with their decision to return to school. The majority of their programs combine in-class education with practical hands on training and a co-op placement to prepare students to take on a career in their field when they graduate. With these co-op placements, students have the opportunity to apply the lessons they have learned in the classroom, gain confidence in their skills, and open doors to future employment. Algonquin Careers Academy has been offering quality education, career training programs to national and international students since 1981.